Carla Stewart Shares How She Received Over 40 Rejections Before Chasing Lilacs Was Picked Up! My name is Carla Stewart. Thanks for allowing me to share a little about my writing journey and to introduce you to my first book, Chasing Lilacs. Like most writers, the first book I wrote didn’t get published, although I had a lot of fun writing it because I was blissfully ignorant of things like too much description and starting with back story. I marched off to a conference and by some quirkly turn of events, an editor requested the full. He pointed out some of the major flaws, but ended with these words: “You have an engaging voice.” That bit of encouragement was all I needed. I concentrated on learning the craft and building a writing resume by entering contests and writing magazine articles and finding publication in anthologies. This, too, was fun, but I longed to write the novel of my heart. The idea for Chasing Lilacs sprang from childhood curiosity—the occasional whisper of someone who’d had a nervous breakdown or shock treatments. Not only were these taboo topics for conversation in the 1950s, I later learned that the ailments themselves were often misunderstood and not always treated properly. As a writer, I wanted to explore what it might have been like for an adolescent girl from that era to have a mother with these problems. The setting is similar to the one where I grew up in the Texas Panhandle: a close knit petroleum camp where neighbors helped one another and kept an eye on everyone’s kids. It was a more carefree time, almost magical, and I hope I’ve portrayed some of that feeling—Elvis on the radio, poodle hair cuts, endless hot summers, Grapette in a bottle. I began the story in 2004 and had only written a few chapters when I joined a critique group. They loved the story and helped me with so many things—writing craft, finding the heart of the story. Once I had a solid start, I entered two regional contests and received second place awards in both of them. At this point, the novel wasn’t finished, but over a long summer, I did get it completed and began querying agents as this was the route I felt God was telling me to take. Six months later I had more than forty rejections and wondered if I would ever be published. About that time I heard about ACFW and joined my local group. I decided I would give my story one more try by having a paid critique at the 2006 conference. This was a turning point, but I still had much work to do. An agent from that conference requested a proposal and told me I wasn’t ready for prime time, but that my writing held promise. He advised me to hire a free-lance editor to read my complete manuscript. I asked for a completely honest, brutal edit. By now, I knew if I was ever going to make it, I had to know the truth about my writing and my story. Boy did she deliver! It took about three months to rewrite the story, which I entered in the Genesis contest in 2007 and was shocked when I won the Historical Fiction category. 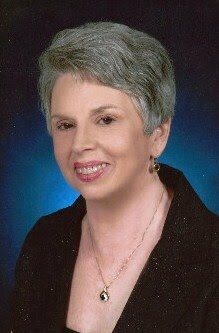 I resubmitted to the agent—Chip MacGregor—who passed it on to his new agent at MacGregor Literary—Sandra Bishop. 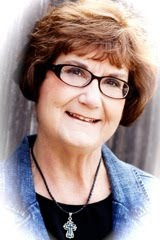 I became one of her first clients, and after helping me polish the proposal, she sold the manuscript to FaithWords seven months later. Now SIX years after I began writing Chasing Lilacs, I’m holding my debut book in my hands. Looking back, I see that timing was everything. My writing needed improvement. I didn’t have a platform, a website, or networking skills. I heard things like “Stories with a child narrator are a hard sell”, “We are only looking at contemporary manuscripts”, etc. We all know that the market shifts. Now historical fiction is all the rage and many books today feature teen protagonists. And hopefully, I’ve matured as a writer. Timing, perseverance, heeding the advice of professionals, and prayer have all played a part in my publishing journey, and it’s such a thrill . . . and a privilege to be a writer. Thank you so much, Lynnette for having me here. I’m always excited when I can connect with other book lovers. 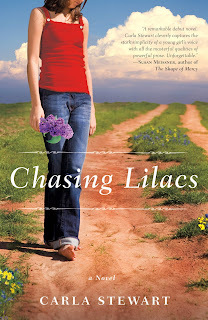 Chasing Lilacs is available online and wherever books are sold. It’s the summer of 1958, and life in the small Texas community of Graham Camp should be simple and carefree. But not for Sammie Tucker. Sammie has plenty of questions about her mother’s “nerve” problems. About shock treatments. About whether her mother loves her. Janalyn Voigt Shares How a Story-Telling Session with Her Daughter Turned into a Trilogy! Some things never change. When I was a child myself, the neighborhood kids gathered around in a circle and pressed me for the stories which sprang to mind with the ease of thought. I wove a story about a young girl of mixed blood who must rise above racial prejudice to unite a kingdom. My father was a half-breed Native American, and I’m sure I drew from his experiences in telling the tale. The story lodged in my soul and wouldn’t let go. Long after my daughter forgot about Syl Marinda, she haunted my thoughts. I could not rest until I gave her life. I was a young writer still finding my way and my voice then. I watched the story of Elderland grow into a trilogy with alarm. I wasn’t entirely sure how to plot one book let alone three interconnected ones. I felt inspired when I wrote, but I couldn’t quite connect all the dots to draw a complete picture. I also needed to develop the discipline to see such a project through. I turned to a nonfiction project and left TALES OF FAERAVEN in a drawer. Without knowing it, I hid that story away in my heart, too. When I suffered a series of rejections and disappointments in my quest for publication, I turned my back on ever writing my trilogy – or anything ever again. And that was that, or so I thought. Years passed, and I fell away not just from writing but from the Lord. I needed to get back on track as a Christian. Once I did, I prayed for direction. Imagine my surprise when I received a call to return to writing, the dream I’d given up forever. Not only that, but I knew I had to take up the story I’d set aside so long ago. DAWNSINGER, which will release with Port Yonder Press, is book one of TALES OF FAERAVEN. I found myself backing up in the story because I realized I had so much history to tell I needed to begin at a point before Syl Marinda’s birth. She doesn’t actually enter the picture until WAYFARER, book three. This works because the story is not just about Syl Marinda but rather tells through individual lives the saga of Elderland itself. I still found it intimidating to plot three books, each with its own story arc, that tell a greater story together. I spent a great deal of time in prayer while writing DAWNSINGER, usually with my hands on the keyboard. Somehow, miraculously, it all came together. I know the Lord breathed life into my writing because so much of the allegory was unplanned on my part. I did not know until partway through that Nalyn, my female protagonist in DAWNSINGER, represents the Church. Imagine my amazement when I realized I’d written a scene where she falls asleep in the Place of Prayer! Just as with CHRONICLES OF NARNIA, Christians will best understand the allegory within TALES OF FAERAVEN, but a secular audience can glean something of value as well. Meanwhile, I wrote most of book two, DAWNKING and started Book Readers Central, a blog for readers where I provided author interviews and book reviews. C. Maggie Woychik commented on one of my interviews and, when I searched her name, I noticed she was an author herself. I invited her for an interview on Book Readers Central, she agreed, and a beautiful friendship developed between us as we came into continued contact with one another through blogs and forums online. I didn’t know at first that she was an editor for a brand new small publisher, Port Yonder Press. When I did find out, the fact intrigued me, but I still wanted closure from the other publisher. I hesitated and almost missed the window of opportunity when Port Yonder Press started acquiring in January. I tried to ignore the restless feeling that I should submit DAWNSINGER to Port Yonder Press. I was so undecided that I sent a Facebook email to Chila (the name the C. stands for) asking her if I should submit my manuscript or not. She asked me to send my proposal in and offered me a contract in February. I hope you will see from my story that we can miss appointed opportunities if we hesitate but that God works to redeem our efforts and bring about His purposes through us anyway. He desires our faith, but He is bigger than our unbelief. I’ve been married for thirty-seven years to my lovely wife Barb. We have two grown sons (one of them married, with a family of his own), and a little daughter waiting for us in heaven. Presently I’m director of business development with a company that does contracting work with the military and the federal government. The three Joe Box novels I have out are Until the Last Dog Dies, When Skylarks Fall, and To Skin a Cat. The protagonist is a Vietnam vet and former Cincinnati cop who now works as a private investigator. In the first novel he’s just recently come to the Lord, but given his violent past, he’s not really sure how—or if—it’s going to work out for him. Joe’s a transplanted Southerner with a strong code of honor, but he also has a dark side and a bit of a sarcastic mouth on him. Being that I’m from the South, Joe’s an amalgamation of several of my uncles, plus some of the guys I knew who’d served in ‘Nam. To my knowledge he’s a bit of an anomaly in the CBA, and was a real kick to write! 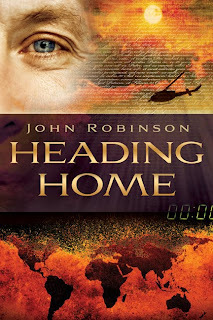 I also have an apocalypse-with-a-twist thriller called Heading Home, due out from Sheaf House this August. In addition to that I have another series started with a soldier-of-fortune named Mac Ryan, and the (working) title for that is Relentless; it’ll be out next fall. The sequel is called Burning River, but it’s not nearly done yet. Finally I have a spec-fic novel I’m currently shopping called The Radiance; it was also a ton of fun to write. Surprisingly I get a lot of women who read my books. Bear in mind, when I set out to write the Joe Box series I specifically did it to give something for Christian men to read. Let’s face it; the CBA is chock-a-block with romances, but not a lot of hard-edged action novels, especially penned by men. I think I was as shocked as anyone when the distaff side seemed to like them as much as the men. For some reason Joe struck a chord with the ladies, but I’m not complaining! I’d always liked to write, even from my early teen years, and when I was in college I was student affairs editor for the school paper. Years passed though, and that love seemed to fade. But a decade ago it came roaring back, and in an unexpected way. It was New Years Day, 1999, and I was watching one of the bowl games on TV when suddenly I started seeing something different on the screen. Don’t laugh, but it was almost like watching a movie. When I roused myself I found only a few minutes had passed, but amazingly I had the entire plot of Heading Home completely lined up in my head; it was then just a matter of writing it down and editing it. That process took about a year. Finding a house that would take such a controversial novel proved to be a challenge, though, and it wasn’t until 2008 that it was sold to Sheaf House (as I said, it’ll be out this August). During those intervening years I wrote and sold the Joe Box novels, and began the Mac Ryan series. Because of its theme and unconventional main character, Until the Last Dog Dies was a booger to get published. My agent shopped it tirelessly, but kept coming to me back with stuff like “they love your writing, John, but the character of Joe Box scares them to death; they’re afraid women won’t buy it.” To which I responded, “Jeeze Louise, it’s not written for women!” Months pass, and my agent finally says they’ve done all they could, but can’t place it with anybody. That’s in December of 2002. Flash forward to July of 2003. The CBA trade show is in Orlando that that year, and my agent is attending. As the story was told to me, the head buyer of one of the largest Christian bookstore chains is speaking with one of the marketing directors for Cook Communications, which owns RiverOak Publishing. They’re talking about this and that, and the buyer says in an off-hand way, “I heard you’ve bought a novel featuring a Christian private investigator.” The Cook guy says no, he’d heard wrong, they took a pass on it. To which the buyer says, “that’s funny; we could probably move a lot of units of that.” The Cook guy takes that info to his people, and they tell him, “how about that, see if it’s still available.” The Cook guy finds my agent and asks if Until the Last Dog Dies is still on the table. Stunned, my agent says yes, and they proceed to verbally cut the deal on the floor of the CBA. True story! Someone once asked me if I have a favorite character that I’ve written. Besides Joe, Joe’s mentor, a crusty old retired Cincinnati cop, was fun. And interestingly enough Joe’s cat Noodles, who Joe rescued as a kitten from being burned alive in a fire, is also a favorite. They play off each other pretty well. With my Mac Ryan character I wanted to take a man who was a little like Joe, but with a darker past, and then take him in different direction. The result is the spirituality is still there, but much more subtle; think the movie Signs, or Dean Koontz’s later works. Somebody once asked me what would be my advice to someone just trying to break into publishing in this day; I’d tell them a story I once heard about Winston Churchill. The time was either the late fifties or early sixties, and by then Churchill was quite elderly when he was asked to give the commencement address for a large university. The day came, and the auditorium was packed with students and alumni wanting to hear strong words of wisdom from the man who’d basically saved Britain during the darkest days the country had ever known. Slowly Sir Winston took the platform. Standing behind the podium, he gazed out at the sea of faces. And the place erupted in praise. Many published storytellers say they never quit, when the story within struggled to find an outlet. And that’s the way it was for me. After working as an editor and copywriter and publishing freelance articles, I wanted to write a book. Since I preferred to write a Christian novel I attended Christian writers’ conferences. At the first one when I learned that many readers enjoy romance, Destin, Florida, came to mind. I’d traveled there for the past twenty-two years and watched the white-capped waves lap white, powdery sand glistening in a reddish-gold sunset. Even though my book would be an inspirational novel about faith I would make it a romance in Destin. 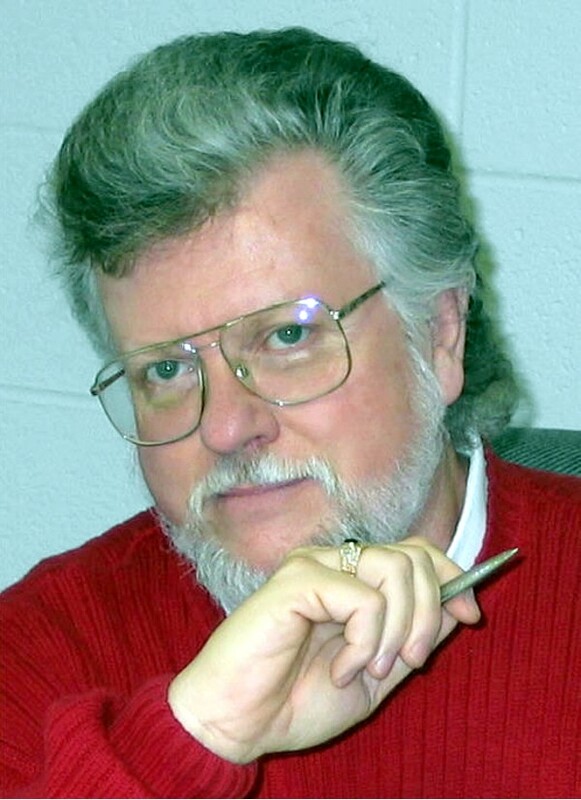 After determining a genre I attended a four-day workshop on plotting books with James Scott Bell, an award-winning writer and frequent speaker at Christian writers’ conferences. Also, I read several Christian romance novels and noted the common threads in them, such as strong, handsome heroes. Then, I devised the following plot. The heroine, Cammie O’Shea, who is a feature writer for a newspaper in Cedar Forks, Georgia, moves to take a position with a new paper, “The Sun Dial,” in Destin, Florida, after she suffers a heart-breaking split-up with her fiancé. She has to interview, Vic Deleona, the hero and wealthy entrepreneur, to help get “The Sun Dial” off to a good start. Even though Vic is too busy with his real estate empire to even meet with her, his secretary gives her an appointment. However, from the moment he sees her, he wants to date her. In an attempt to get to know her better he schedules business appointments she must attend. Even though she is attracted to him, because of her recent heartache she never wants to date again. But she and a friend, Angie Jones, have break-ins at their homes, and Vic comes to their rescue. Just when Cammie sees a different side of Vic she receives an offer to return home to her old job. Will Vic win her heart, or will she leave Destin? The answer to that question lay in the characters’ personalities, which I still needed to establish. I made a list of their likes and dislikes, including the foods they enjoyed and their activities, such as swimming. Before I started writing I also noted their physical appearances and wrote a few sentences about each of them. Even though I’d been in Destin many times, I researched the history of the town and the fishing industry there. I also interviewed a couple policemen about crime scene procedures, and spoke often with my husband, who is a residential builder, real estate agent and land developer. To incorporate Cammie’s job as a feature writer I called on my experience working for a retired Associated Press correspondent. By the time I completed my first draft my characters had taken on lives of their own in Destin, Florida. After editing Love Turn the Tide several times I read it aloud to my husband and corrected the mistakes I heard. When I knew the words, paragraphs and scenes in my head so well I peered at the page without actually reading them, I edited the manuscript from the end to the beginning. Going backward made me see what I had written as if I were reading it for the first time. Lastly, I asked my husband and my daughter to proof the book and tell me about anything that seemed unclear or awkward to them. After I made the corrections they suggested, I realized I only knew of publishers who accepted manuscripts through agents, and I didn’t have one. However, after two years of work I was ready to market my book, so I searched the web for a publisher. Sure enough, I found Awe-Struck, an E-publisher having a contest for a short, inspirational romance. I didn’t think I’d win, and I knew beyond a doubt that I was a computer klutz. But, I had nothing to lose by entering, and I easily could learn about cyber space if I were to win, couldn’t I? I did win and began my E-journey, which is another story. But, I will say that I had a fantastic editor at Awe-Struck E-Publishers. Between the features I had written as an employed writer and the freelance articles I had sold, I had published around two hundred articles and had worked with numerous editors who had been helpful. I concluded that working with a good editor who knows the market was a plus. After meeting so many good authors online I also realized that every story had its own unique voice, depending on who was telling it. That made the struggle worthwhile for each of us.